Medical Director – Specializing in total joint replacement & reconstruction surgery. 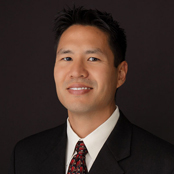 Dr. Steele is a staff member at the Andrews Institute for Orthopaedics & Sports Medicine. Dr. Steele who completed a hip and knee adult reconstruction fellowship at OrthoCarolina in Charlotte, N.C. His clinical interests are in orthopaedic total joint surgery, reconstructive joint surgery and pre-operative optimization. He is a graduate of Temple University School of Medicine and completed his residency at the University of Pittsburgh Medical Center. Board Member – Specializing in knee & hip replacement surgery. 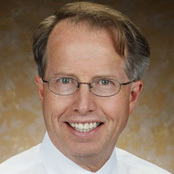 Dr. Dahl received his medical degree from Mayo Medical School in 1980. 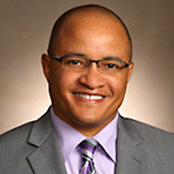 He joined St. Croix Orthopaedics in 2004, after 19 years in practice in Minneapolis and St. Paul, performing specialized deformity correction surgery, as well as state-of the-art knee and hip replacement surgery at Woodwinds Health Campus, Lakeview Hospital, and Gillette Children’s Specialty Health Care. Dr. Dahl travels to third world countries, performing deformity correction surgery on children and adults, and sharing his knowledge with surgeons in these areas. Board Member – Specializing in care of athletes & disorders of the knee, elbow & shoulder. 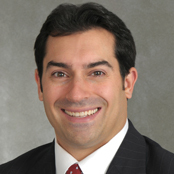 Dr. Paci is an Assistant Professor with the Department of Orthopaedics within the Stony Brook University School of Medicine. He completed an orthopedic sports medicine fellowship at the American Sports Medicine Institute (ASMI) in Birmingham, Alabama, under the direction of Dr. James Andrews, where he received the 2009-2010 award for excellence in clinical research. Dr. Paci is the team orthopedic physician for Stony Brook University and Suffolk Community College, as well as an orthopedic consultant for many high schools on Long Island. He is the former team physician for the Long Island Lizards professional lacrosse team. 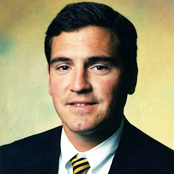 Dr. Paci received his undergraduate degree from Yale University and was a member of the varsity football team. He continued his education at the Chicago Medical School, where he received his medical degree. He then went on to complete his orthopaedic surgery residency at SUNY Upstate Medical University in Syracuse. Board Member – Specializing in non-surgical, primary care sports medicine. Dr. Hackel is a staff member at the Andrews Institute for Orthopaedics & Sports Medicine. Dr. Hackel is an Andrews Fellow who specializes in the prevention, diagnosis, and conservative management of musculoskeletal injuries utilizing the latest medical techniques. Dr. Hackel has a multitude of team physician experience in many different sport and recreational arenas. These include team physician for the University of West Florida, Troy University football, Birmingham Barons baseball (AA affiliate of the Chicago White Sox), Birmingham Power of the WNBA, Arena Football’s Birmingham Steeldogs, and the Medical Director for the Pensacola Marathon. 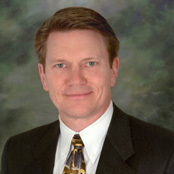 Dr. Hackel completed his residency at the Columbus Regional Medical Center in Columbus, GA and is a graduate of the University of Georgia. Board Member – Specializing in sports medicine. Dr. Joy is the Medical Director of Clinical Outcomes Research at Intermountain Healthcare, and an adjunct professor at the University of Utah in the Department of Family & Preventative Medicine. In addition, she is the Medical Director for Outcomes Research for Clinical Programs at Intermountain Healthcare in Salt Lake City. She completed a Family Medicine Residency and Primary Care Sports Medicine Fellowship at Hennepin County Medical Center in Minneapolis, Minnesota. She completed her Master’s degree in Public Health at the University of Utah. 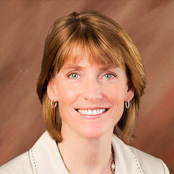 Dr. Joy is the former Board Member for the American College of Sports Medicine (ACSM), and for the American Medical Society for Sports Medicine. She is on the Editorial Board for The Clinical Journal of Sports Medicine, and is the Associate Editor for Current Sports Medicine Reports. She serves on the Exercise Is Medicine Task force for the ACSM, and the American Heart Association’s Nutrition, Physical Activity and Metabolism Committee. She has authored many journal articles and textbook chapters on a wide variety of topics in sports medicine. Her research interests lie in the areas of physical activity assessment and promotion, practice-based research in primary care, the Female Athlete Triad, exercise during pregnancy, and injury prevention. Board Member – Special interest in overuse/overtraining injuries. Dr. Macintyre received his Doctor of Medicine from the University of Western Ontario in 1978. He completed a two-year Fellowship in primary care sports medicine, and his Masters of Physical Education in exercise physiology and sports science at the University of British Columbia. He has served as a team physician for professional basketball, soccer, and hockey teams as well as Olympic and world championship teams during his career. Dr. Macintyre has a special interest in overuse/overtraining injuries and tendon disorders of the upper and lower extremities, including throwing, dance and running injuries. He offers Extra Corporeal Shock Wave Therapy, the latest in treatment of tendon disorders. Board Member – Specializing in total care for active people. Dr. Barnes is the President of Medical Staff at Mayo Clinic Health System Albert Lea-Austin and practices Non-operative Orthopedics and Sports Medicine. Dr. Barnes has authored multiple papers and chapters regarding musculoskeletal ultrasound and is considered a leader in his field by his peers. He is also the team physician to the Austin Bruins (NAHL). Dr. Barnes received his residency training at the Mayo Clinic and completed his Fellowship training as a Clinical Mayo Scholar at the Cleveland Clinic.